The clock, plus an apron and pot holder (?) are off to my Urban Homegoods Swap. The tablerunner, Ball jar, towel, and mug rug are safely at home with my Spicing Up the Kitchen partner. And the 2 mug rugs at the bottom are with my Scrappy mug Rug Partner. 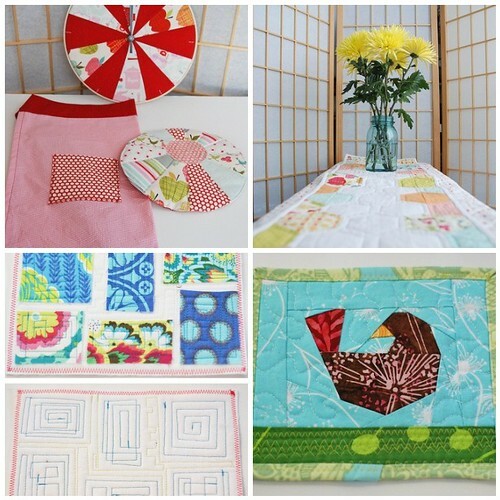 Just a few more swaps (and a quilt!) to finish up with week!! Morning! I put your pic in my faves...I am just all about birds right now with early spring singing going on outside.